The first clue that a relatively under-the-radar grape variety is becoming popular is when you see it on the wine list of a gastropub in a trendy area of London. 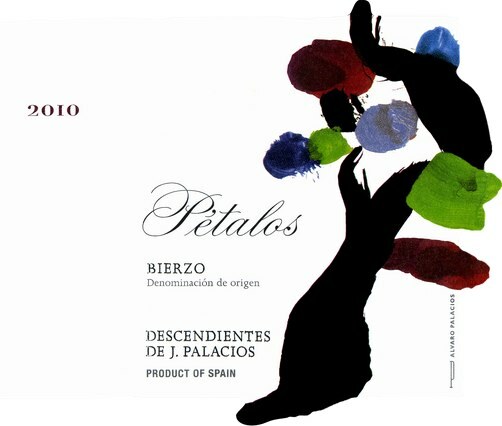 I was pleasantly surprised to see a Mencía listed at dinner last night, in fact the Descendientes de J. Palacios, Pétalos is a wine I also had on the list when I was a sommelier. If you saw a Mencía on the list, would you go for it? Let’s take a little look at this grape and the wines it makes, to give you a better idea what to expect if you did. The first thing to know is that it comes from Spain, but you may have guessed that already! Mencía is grown in the northwest corner of Spain in the areas of Ribeira Sacra, Valdeorras and Bierzo (where the Pétalos comes from). It was once thought to be Cabernet Franc, but that notion has since been debunked (it is however, identical to the grape Jaen from Portugal). However, just the suggestion that these two varieties might have been related, gives you an idea of the style of Mencía – dark berries with a touch of herbalness. The wines were once quite light and unimpressive, but over the past decade and a half, a young generation of winemakers discovered perfect plots of Mencía growing in old vineyards on hillsides superbly suited to producing intense, complex wines. Alvaro Palacios (of the wine above) along with his nephew Ricardo, was instrumental in this revitalization, just as he had been some years prior in bringing the spotlight to the then unknown wines of Priorat. The styles of Mencía do tend to vary quite a bit from bottle to bottle depending on the vineyard location, winemaker’s preference for new oak etc. but they are all easily approachable without overpowering tannins and have a structure and depth that doesn’t need a special occasion and can be enjoyed just because. Don’t buy these wines to age, drink them young (usually within 3-4 years of the vintage) so you’ll still have the fresh, bright cherry and plum flavours. If the wine is particularly young, try chilling it in the fridge like a Beaujolais for 20 minutes, to get its true expression. A glass or two of Mencía is easily enjoyable on its own without food, but is also a great pick if you’re having friends over for a casual dinner. Even though Mencía is medium-bodied and not a big, tannic teeth-stainer, it should still be paired with flavorsome food. Dishes like roasted lamp chops, filet of veal or rich veggie lasagna would do well. Along with wines from Descendientes de J. Palacios, look for Pittacum Barrica and Aurea. Both wines come from Bierzo vines of an average of 65 years of age with the latter from a single vineyard just 1 hectare in size. The Barrica is crammed with fresh fruit – raspberries, cherries, plums with a touch of vanilla and chocolate whereas its big brother, the Aurea, has more complex fruit with black pepper and clove spice and a core of minerality. 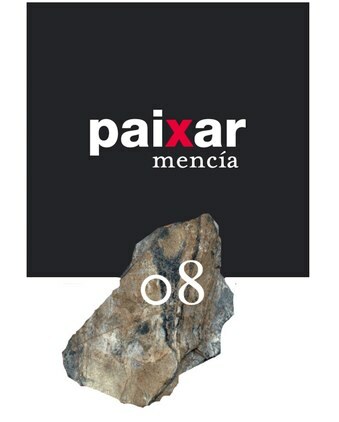 One final suggestion are the wines of Paixar. The vineyards are between 2,500-3,000 feet above sea level which allows for long, slow ripening of these small-yielding pockets of over 80-year-old vines. Their wines consistently score over 90 points from the likes of Robert Parker, Steven Tanzer and The Wine Enthusiast. Are you planning a casual evening at home with your spouse or close friends? Add a bottle or two of Mencía to your shopping list and give it a try this week. As I headed out of the gastropub last night, I glanced over at a table in the corner and smiled with the realization the wine they were enjoying was indeed the Mencía. Have you tried Mencía? Please let me know your thoughts in the comments below.